Police in North Attleborough, Massachusetts responded to an injury accident around 9:00 am on Monday morning. The crash occurred in the southbound lanes of I-95 just before Exit 5. Upon arrival at the scene, police found a multiple vehicle crash with injuries. Officers then radioed for medical assistance to tend to injured victims. EMS responded to the crash scene and rendered first aid. Officers spent approximately an hour investigating the crash, taking witness statements and clearing the area of debris left in the roadway by the collision. After the investigation was complete, the crash was cleared away and traffic flow resumed to normal for the morning commute, although motorists encountered heavy residual delays due to the traffic back up caused by the accident. There is no word at this time on the condition of the injured victims or their identities. Accidents occur on Massachusetts highways on a daily basis. 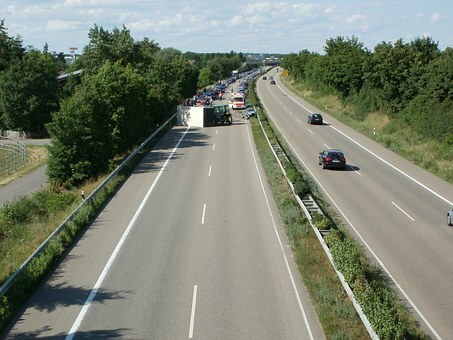 Highway accidents tend to be very dangerous due to a combination of factors. Some of these factors include higher speed limits, congested travel areas and drivers who speed or otherwise do not obey traffic laws. Whatever the reason, an innocent victim should not be left to suffer without receiving compensation for their injuries. If you or a loved one have been injured by the negligence of another please contact us as soon as possible. At the Law Offices of Jeffrey S. Glassman, we zealously protect the rights of accident victims.